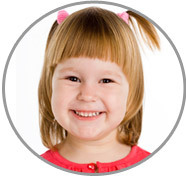 A Fairfax County, VA Nanny will keep your children happy and healthy while you're away! You can be sure to come home to a smooth running household! Carmen enjoys working as a Fairfax County, VA Nanny because it allows her to utilize her skills and she loves to see the smiles on the faces of the children she cares for. "I love children! I enjoy playing with them and generally making their life fun and lovely. I have been working in some form of childcare for the last 15 years, and can honestly say I love what I do! If I had to describe why I have chosen the nanny profession over any other, I would have to say that it is because working with children makes me very happy. I believe children are precious and need love. I am very positive, friendly, dependable, energetic, and honest. I have a lot of experience with multiple children and love working with children of all ages. If asked to describe the perfect family seeking a Nanny like me, I would hope they would be kind and friendly!" "Carmen is a very trustworthy individual. I met her through a friend’s gym glass and from there I got to know her well enough to employ her has my childcare provider on occasion. My children love her! She is just so good. Any interactions I witnessed of Carmen’s with children were always positive. She is full of life and energy, which is hard to come by especially with someone who has her own grown children. She always displayed a level of high integrity and honesty in every aspect. She is truly like a part of our family. Her upbeat and friendly manner definitely makes a difference. My children have definitely flourished in her care. We all love her and I definitely recommend her as a Fairfax County, VA Nanny." "Carmen is always upbeat and active. I trust like family and honestly if I could I would have her live here if possible! She really is just always happy and energetic. My children love her! I would never go to anyone else to provide care for my children. She is truly the only one I could ever trust enough with them. Carmen is both dependable and reliable in every aspect as a Nanny. I am very cautious by nature, but she has never let me down and I know that any family would be lucky to have her." "We have known Carmen for years as our Fairfax County, VA Nanny. She has cared for each of our six children over the years. We have been so thankful to have Carmen in our lives during this time! Our children had always enjoyed Carmen coming to our home. She was always good at speaking with them and really keeping them engaged. It was always a relief when they were in her care! Carmen is very energetic and always makes the children feel special. The children love her! She is a very cheery person. We very much appreciated how she could go ahead and do whatever work needed to be done without having to be told every step. She always took initiative. We always looked forward to having her work for us. She has certainly become a part of our family!" "Carmen has been providing exceptional care in our home. Carmen has been around children her entire life. She is very helpful with daily tasks in her own home and when my family visits she is very helpful and caring for my children. I know she cares for children as if they were in her own family. My boys love when she is around and they get very excited to see her. Carmen is very reliable, whenever I call to ask if she can watch my children she makes herself available. My experience with Carmen watching my children is awesome! We love when she watches our children. I always know they are in good hands with Carmen!"